Office 365 tenant to tenant migration is an operation where you migrate users and other data from one O365 subscription to another. Today, it becomes so common procedure as organizations are adopting more and more Office 365 services other than just emailing. Due to this, the migration procedure is becoming more complex. If you are stuck in the same condition and searching for a simple way to migrate existing domains between two Office 365 tenants then, do not be panic now. This technical guide comprises a simple and easy solution for the same. However, before directly proceeding to the solution section, let us understand the reasons that occur the need for such migration. 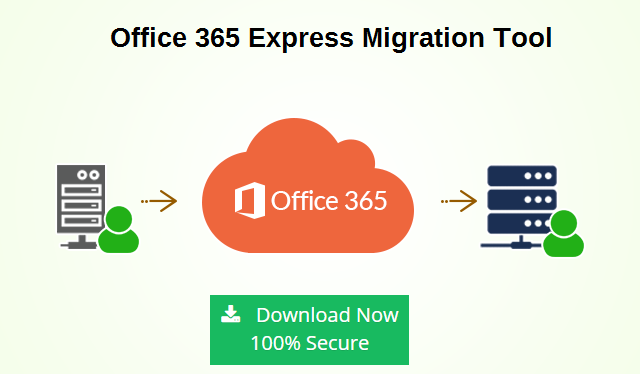 Office 365 Express Migration Tool is the best solution to move a domain among different Office 365 tenants. It can migrate all data items from one O365 tenant to another Office 365 account quickly and seamlessly. The software supports to export multiple user mailboxes and provides recurrence for both Calendars as well as Tasks. In order to reduce the unnecessary data migration time, the tool provides a date filter option. Using this feature, one can export emails, tasks, and calendars between “From” to “To” date range just by setting up the filters accordingly. Apart from this, the software allows to transfer emails, contacts, calendars, and tasks, However, if users need to export only selective data items then, they can check/ uncheck the items accordingly from the software pane. It has an Impersonation option to convert bulk mailboxes using the Admin Account. It preserves the complete folder hierarchy throughout the process. The software is compatible with Windows 10 and all below versions. How to move domain from one Office 365 tenant to another now becomes a common internet search. It is so because this is not an easy migration task as a domain can be attached to a single Office 365 tenant at a time. Hence, detaching the domain from a tenant is so complex and lengthy procedure. Also, during the domain detaching process, one cannot reattach it to another tenant. Therefore, this article comprises an ultimate solution to resolve this issue. The third-party tool recommended above is completely secure to download and run.